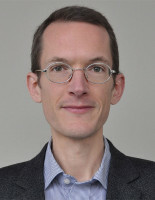 From 2008 to 2012 Jan Stenger was Junior Professor of Classical Philology in the Excellence Cluster Topoi at the Freie Universität Berlin. Since 2012 he has been Professor of Greek at the University of Glasgow. In Topoi he was working with an interdisciplinary graduate group on the question of how spatial relations are expressed in ancient languages and to what extent linguistic universalia manifest themselves in these expressions. His research projects deal with literary constructions of urban space and countryside in late antiquity, and with the uses of spatial metaphors in Christian exegesis and preaching. As a Topoi Fellow in summer 2015 he analysed the ways in which Greek Church Fathers explain Biblical metaphors and employ spatial metaphors in their discussions of doctrine and religious ethics. During his fellowship in summer 2017, Jan Stenger studied pagan and Christian authors of the fourth and fifth centuries CE (among others Libanius, Themistius, Augustine and Macrobius), with a focus on the nexus of, on the one hand, ideals and practices of education and, on the other, the spatial context.